This article was first published in 2011. Sam Stosur has recently returned to the winner’s circle winning her first WTA tournament since her 2011 crowning. Wouldn’t it be nice if it is a sign of further good things to come! Given Stosur’s US Open success the article is re-published in full to provide some insight on her journey. My experience with listening to talkback radio is such that I rarely choose to listen to it. However I was flicking through the radio channels while driving to on my way to a meeting recently when I tuned in the start of an interview with Layne Beachley, retired 7 time World Surfing Champion from Australia. Lane is currently having a positive influence with another current Australian female athlete, Samantha Stosur. Samantha has recently entered the Top 30 list of the world’s best female tennis players and has had a string of recent victories against higher ranked players. In a recent interview Samantha named Layne Beachley as the person who has helped her most to enable her to make the most of her ability. Which takes me back to the interview with Layne Beachley. Lane said that all she had done with Samantha was share some of the most significant lessons that she had learned throughout her highly successful surfing career. As I was listening to Layne speak, her words seemed so familiar to me. I have been teaching and practising a version of what she was saying for some time. However I would like to share Layne’s version as it is sometimes useful to explain a similar concept from someone-else’s perspective. Layne had been talking herself into defeat even before she caught her first wave in competition. To compensate for her negative self-talk, Layne would then, as she describes it, “surf the wave before it came”. This meant that when the wave actually did come along to surf, while she was physically riding it, her mind was focussed on the outcome rather than staying ‘in the moment’. The result: she would lose. Losing did not fit with Layne’s personal vision of being a World Champion. One day she recognised that she was her own worst enemy and the only thing that was stopping her from being the best she could be was herself. So decided to do to two things. 2) Layne also recognised that she had to train herself to become excellent at executing her skills ‘in the moment’. So, rather than surfing a wave before it came along, or being mentally ‘stuck’ on a wave that she had already surfed, Layne decided to train herself to be able to focus on her processes and what needed to be done ‘in the moment’. Through training in this way (this is an important point – Layne didn’t just use training to perfect her surfing skills, she used training to ‘perfect her mental approach’). In this way, negative self-talk at training became unacceptable. Being distracted by the wave that was yet to come or the wave that had just been surfed while she was training was also not acceptable – she could do that when she was out of the water and reviewing her session. Instead, she trained herself to execute her processes in the most focussed way possible; by ‘staying in the moment’ and surfing each wave (which, by the way, is always unique!) the best way that particular wave was demanding to be surfed. And she did this at training. Clearly the majority of us are not elite athletes, certainly not World Champions. But we can be the best that we can be at whatever it is that we want to be good at. I know that in my work it is critical that I ‘stay in the moment’ for my facilitating, in meetings with clients, colleagues and peers, and most importantly when I am with my family. I have my structures in place in terms of my plans etc. but it is still important that I execute those plans and listen to what is being said and don’t get ‘ahead of myself’. When I do (which I sometimes do) I can miss an opportunity that was calling out for my attention. I advocate that it is critical to have goals and to have plans (processes) that you need to execute to enable your goals to be realised. It is important that you believe that you can achieve the goals that you set for yourself. I had to believe that I actually could complete the first marathon that I ran. I had to believe that I could facilitate the first workshop that I facilitated on my own. I had to believe that the service areas that we operated could become National Award winning teams. I had to believe that if we provided good people with the right support they could take the organisation we were in to become nationally recognised for its service excellence. So goals and self-belief are critical. But, when you are executing your plans, and you are in the process of ‘doing them’, ‘staying in the moment’ and getting the best out of that moment while you are executing your plans is the level of focus that can bring everything that you are working towards into reality. As a final note, Layne Beachley mentioned that when she started to perfect her focus she failed many, many times. She failed at training, and she failed in competition. But she never lost the faith that, through practice and continuous learning, she could improve her focus and achieve her dream. Over time, as her ‘focus’ skill developed, Layne’s results started to look after themselves and the rest, as they say, is history. Surfers themselves have commented upon Layne Beachley’s capacity to handle pressure. It is now clear why she is able to handle pressure. She had trained herself to focus. I’m interested in hearing from you about your experiences of self talk, goals, focus and ‘staying in the moment’ and how you might see such a skill being applied throughout your career? 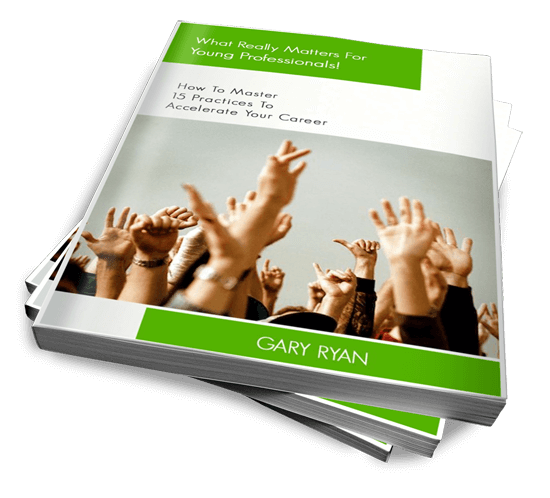 View a Tedx Talk by Gary Ryan here.